iOS 11.2 beta, released this morning, introduces SiriKit support for the HomePod, according to Apple. With SiriKit for HomePod now available, Apple is asking developers to make sure SiriKit-compatible apps are optimized for HomePod ahead of the device's release. SiriKit is designed to allow iOS and watchOS apps to work with Siri, so users can complete tasks with Siri voice commands. SiriKit is available for a wide range of apps on those two platforms, but its availability is slightly more limited when it comes to HomePod. Developers can test the voice-only experience of their apps using Siri through headphones connected to an iOS device with the iOS 11.2 beta. Apple plans to release the HomePod this December, but a specific launch date for the speaker has not yet been provided. When it becomes available, the HomePod will cost $349. It's really dumb that like Apple Watch, HomePod cannot be used independently from iPhone. It should be similar to Apple TV in that it can be purchased and used without having to own an iPhone. Hmmm, shouldn't it read as beta or something like that? It can easily mislead people into thinking the actual public release version of 11.2 was released. The limitations are why I’ve opted for the new Amazon Echo 2. How does this work for multiple users? 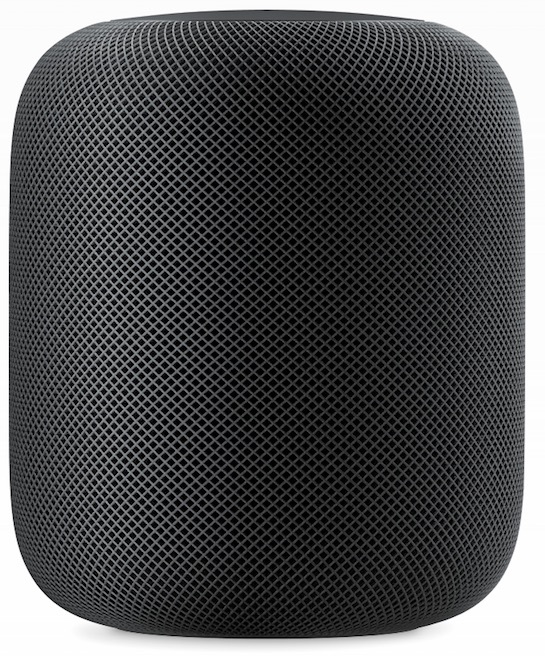 Or will everyone in the house need their own HomePod to enjoy the app-centric functionality? I assume Apple will suggest to buy separate houses. Each with their own Homepod and Apple TV. Hahahahaha! Echo Dot hifi! Jolly good joke sir. Yeah wtf? I thought this thing is connected to the internet. Why can't it just utilize some sort of Homepod app extensions, which allow it to do the limited number of things it can do, specifically from those extensions. For example, adding, editing, or removing a note from Evernote. Why does it need the phone nearby? Not gonna crap speakers. Nice troll attempt. Well of course it is not ideal, as the Echo Dot is feeding an already un-digitized, analog signal to the receiver, meaning you still have to put up with the Echo's internal DAC. But I don't think I'm mistaken when I say that speakers makes a larger impact on sound quality than DAC's do. Maybe I'm wrong. That doesn't change the fact that they should still release a Echo Dot style Siri box. If you have an iPhone or iPad in the same room and you say the words "Hey Siri" wanting to ask the HomePod something will it set off all the other devices, i wonder how Apple will be dealing with this. I'd imagine it'll be handled the same way it is now, the devices will negotiate which was best suited and trigger. I frequently am in range of 2-3 devices between my watch, iPhone and iPad, and while the screens light up on other devices, typically only one ends up responding. In theory HomePod will have the best response times since it's always powered on. You could almost think of this SiriKit integration as offering a better mic to trigger Siri for your phone. I've been kind of hoping for something like this, as there's still nothing quite like being able to take Siri with you. It'd be nice to have a Siri mic that is always powered on at home, even if it did all of the work on your phone for privacy and security sake. I wish more people understood this! You will not get good sounds from a soundbar, nor a housing with several speakers thrown in there. A Google home or Alexa hooked up to some nice drivers will beat a AIO all day, everyday. I don't know that they're targeting people who want the best sound per se, they just want better sound without having to put the extra work in for a separate audio system. Think of HomePod as an evolution of the classic radio as a device. People just want to listen to music, it's not necessarily important that it has the best speaker, just better than they can buy without more work. It's a hard sell for me, I already have speakers and such, it'd just be nice to have the Siri functionality (but the Apple Watch does a good enough job there most of the time).